Jason Carroll is a national correspondent for CNN. Previously, Carroll co-anchored the morning news program Ahead of the Curve, which aired simultaneously on CNN/U.S. and CNNfn, CNNs financial network. Carroll is based in the networks New York bureau. Since joining CNN in 2001, Carroll has worked on a variety of enterprising stories, including his groundbreaking yearlong series, "A Soldier's Story" which took him from the homefront to Afghanistan. 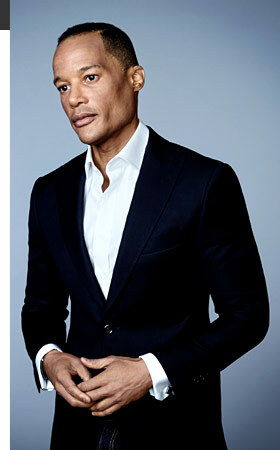 Carroll also has covered numerous breaking news events such as the capture of Osama Bin Laden, the earthquake in Haiti, Hurricane Katrina, the London terrorist bombing plot and on-scene coverage of American Airlines Flight 587 in Queens, N.Y.
Carroll came to CNN after working as a general assignment reporter in Los Angeles for CBS 2 News. Before that, he was a general assignment reporter for WPIX-TV in New York. Recognized several times for his work, Carroll has won the Edward R. Murrow Award for breaking news. Carroll began his broadcast career interning at 60 Minutes and the RAND Corporation. He graduated with a Bachelor of Arts degree in literature and creative writing from the University of Southern California.